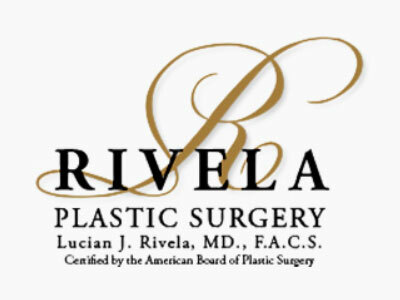 Dr. Rivela and his staff at Rivela Plastic Surgery are dedicated to enhancing the quality of life for their patients by offering comprehensive care in cosmetic surgery, reconstructive surgery, and skin care. Experienced and skilled, coupled with compassion and understanding our goal is to provide you with the highest quality of personal patient care. Dr. Lucian Rivela’s office is located in The Woodlands, Texas, just 30 minutes north of downtown Houston and is easily accessible to Bush Intercontinental Airport for international patients. Having completed residencies in both Plastic Surgery and General Surgery, Dr. Rivela is board certified by the American Board of Plastic Surgery. He is a member of numerous medical societies including the American Society of Plastic Surgery and is a fellow in the American College of Surgeons. Having trained under some of the most respected plastic surgeons in the country, Dr. Rivela is best known for his aesthetic surgeries and treatments of the face, breasts and contours of the body. Dr. Rivela resides in The Woodlands with his wife Patti and their three children. As part of the practice, the Rivelas participate in medical missions to Guatemala, repairing cleft lips and other congenital deformities with Agape In Action. Throughout the year, Rivela Plastic Surgery gives 10% of profit from skincare treatments to local charities.